Quite a few weeks back now I mentioned on twitter that my hairdresser has commented on how healthy my hair was and a few asked for a post about my haircare routine. 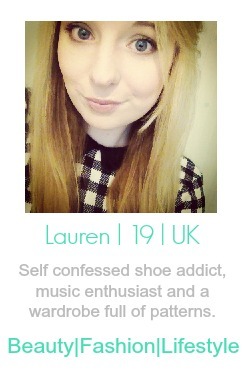 So here we have it! Firstly I want to mention that I like to keep any heated styling appliances to a minimum. Yes, even the hair dryer. I've learnt to live with my natural hair and what looks best with my natural wavy/curly locks. I'll often leave my hair to dry over night and sport the messy beach waves the next day because it does wonders for my hair. To avoid using straighteners as well as a hair dryer use a paddle hair brush while you blow dry your hair to create straight locks. Aussie Colour Mate Shampoo 300ml (£4.69) - Whenever I go to the salon I opt for foils which means I like the colour to last as long as possible, plus this adds a great shine to my hair. Tresemme Colour Thrive Blonde Conditioner 500ml (£4.50) - There's nothing a big bottle of Tresemme can't fix in my opinion. Sticking with the colour treats theme here this product does the job of conditioning while showing off my blonde tones. Tommy Guns Fig, Plum and Marshmallow Conditioner 250ml (£5.50) - I am hooked on this stuff. Smells great and controls any frizz my hair might have - perfect for embracing my natural hair. The Body Shop Rainforest Radiance Hair Butter 50ml (£3) - I posted about this a while back HERE. Still loving it though and adds softness to my hair in an instant. I often work it into the ends of my hair for a few minutes and then rinse. Aussie Miracle Hair Insurance Lightweight Conditioning Spray 250ml (£4.49) - This is quite a newer purchase to the haircare collection. I tend to spray evenly to de-tangle before blow drying. L'Oreal Studio Line Matt & Messy Salt Spray 150ml (£3.75) - My most favourite styling product I own and a bargain at that. This product adds texture, waves and a defined finish. You can create tousled waves as well by twisting hair strands around your fingers. What are some of your favourite haircare products? Any recommendations? I've been toying with the idea of trying some Aussie products but I wasn't sure. Since they have worked for you I'm definitely going to give them a go! 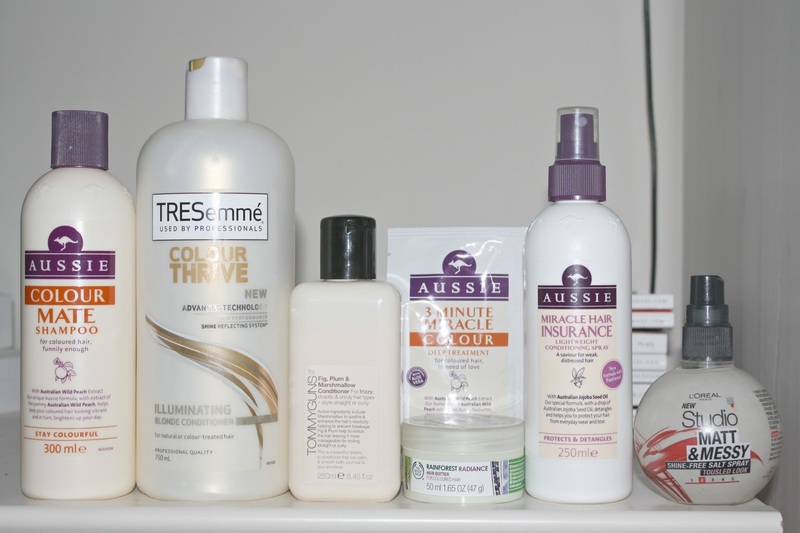 i love aussie hair products, i use the curling mousse on mine, and the masks are so good!